At the same time that I was facing seemingly insurmountable computer problems, Martine and I were fighting off a bed bug (Cimex lectularius) infestation. I am writing about it only now because I wanted to stay mum on the subject until I felt we had licked the problem. It has now been a week since neither of us have received any new bites; so, I feel comfortable talking about it now. If you follow my posts, you may remember that Martine last left me early in October, returning a few days later because she was unable to get a good night’s sleep. During her last getaway, Martine stayed at a shelter in South Central Los Angeles which housed hundreds of women, where I suspect she picked up a few “hitchhikers” of both insect genders. At first, we were bit a couple of times, which enabled the “pioneer” invaders to mate and lay eggs in our living room couch. From there, they migrated to the bedroom and took up residence in our box spring and the bed frame. We encased both the mattress and the box spring in a zipped fabric that trapped bed bugs within and prevented further incursions. We threw out some old wood we had been using between the bed frame and the box spring. Where the wheels of the bed frame met the bedroom carpet, we used a double-bowl that contained diatomaceous earth (poisonous to bed bugs) in the inner bowl and soapy water (also poisonous to the critters) in the outer bowl. 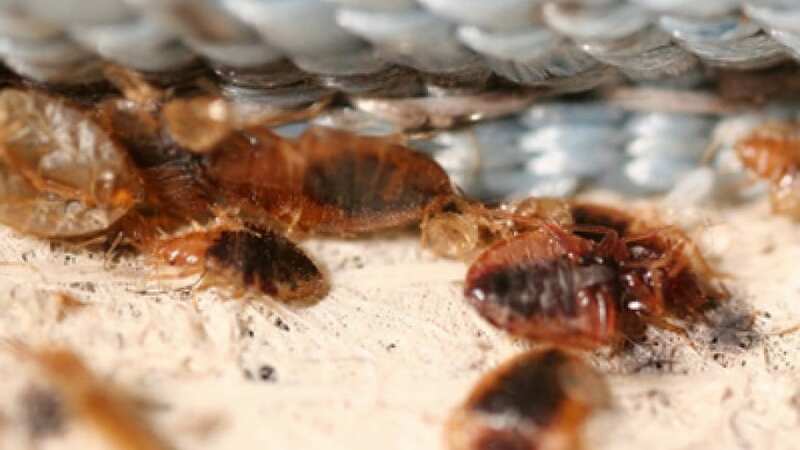 Note that bed bugs can neither fly nor jump, so the traps present an insurmountable barrier to them. Martine used a canister vacuum with a bladelike accessory for sucking up a large cache of bed bug eggs she found in the crook of the right arm of the couch. In addition to aggressive vacuuming, we washed and dried our clothes and sheets at the hot temperature setting. In case we find any more egg caches, we got some bed bug poisons from BedBugStore.Com. I was the first victim of the little beasts’ attacks. I usually sit on the right hand side of our coach, and I picked up a pattern of bites on my right arm and the right side of my back. During this time, Martine and I have noted the large number of mattresses and couches that are being thrown out from nearby apartments. I suspect that most of them are related to bed bug infestations. Our couch and mattress were both expensive and worth saving, as we both prefer extra firm and don’t want to pay out a small fortune. This entry was posted in personal and tagged bed-bugs. Bookmark the permalink. My sympathy, you have done well. Diatomaceous earth is wonderful stuff.